2x4 Basics Workbench Legs Building Kit | BUDK.com - Knives & Swords At The Lowest Prices! As the focal point of your workshop or garage, your workbench must be strong enough to take abuse from power tools, sparks and spills. It should also be the perfect size for the jobs you perform - from cutting large metal sheets to painting tiny details on carved figurines. 2x4 Basics has you covered on both fronts with its Workbench Legs Building Kit, which allows you to easily build your own customized workbench - just add 2x4s and plywood or particle board. 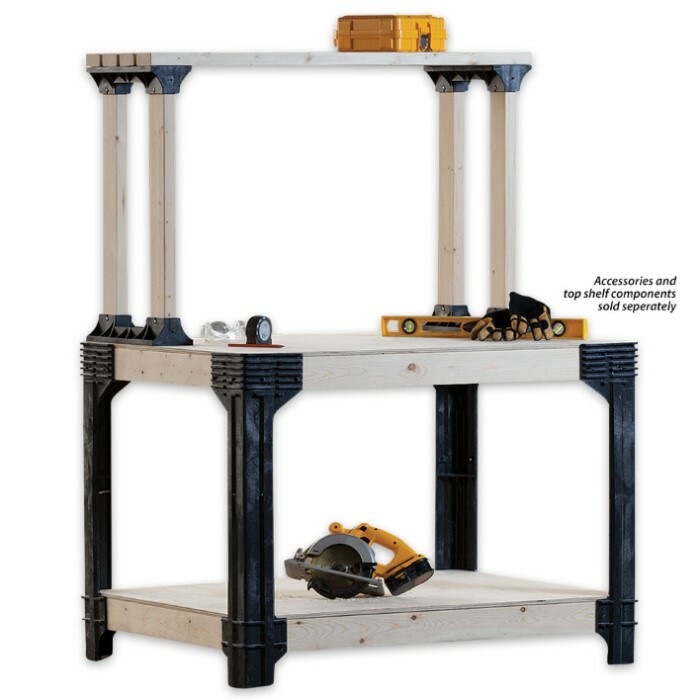 There’s no need to be a master carpenter; with detailed instructions and all the hardware you need included, the 2x4 kit makes erecting the perfect workbench a quick and easy job for anyone, regardless of their construction experience or lack thereof. The only tools required are a powered drill and saw, and only straight 90-degree cuts are necessary - no miters or angles. 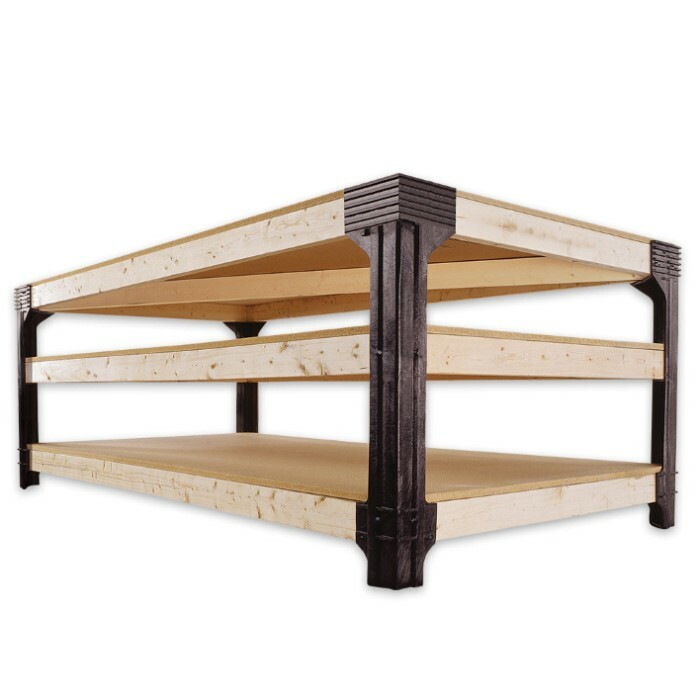 Sturdy 2x4 framing and advanced engineering makes your 2x4 Basics workbench stronger and more stable than its store-bought counterparts, with each shelf holding up to 1,000 lbs. 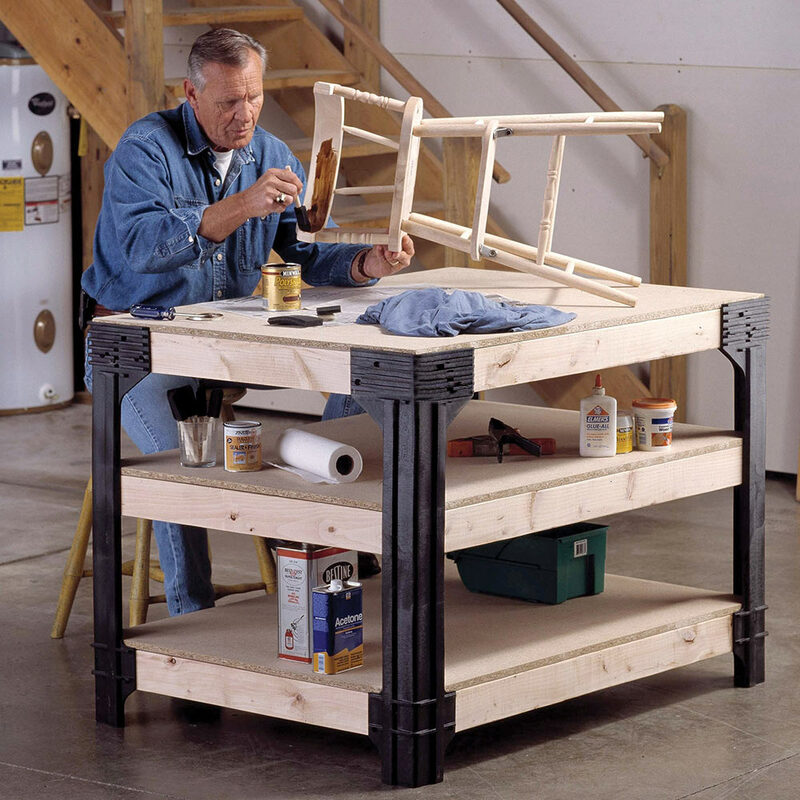 In addition, you are no longer limited to any standard size; make a 2’x2’ unit to use as a power tool stand or make the largest workbench available on the market. Makes a great gift for anyone who likes to work with his or her hands. Also makes a fun project for parents and children to complete together to teach kids the basics of construction.